Our services encompass your entire project from concept to completion. Give us a call to get your next farm & ranch project started. 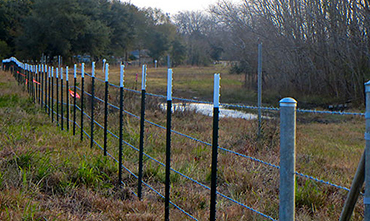 Long-lasting creosote fences add character to any farm or ranch. 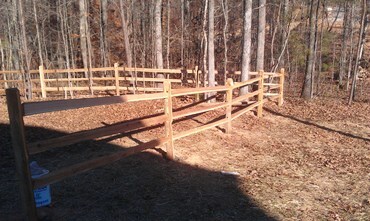 Wood rail fences provide a decorative touch to your property. Heavy duty steel rail fences keep livestock in with eye appeal. Barbed wire fences are economical and dependable for enclosing livestock. Field fencing comes in several styles for various types of livestock. 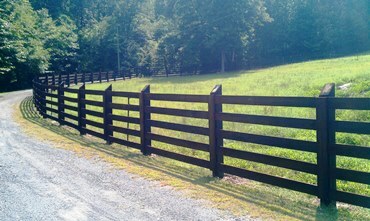 Get that country ranch feel with a beautiful vinyl rail fence. give us a call or fill out the free quote form. Since 2008, Custom Fence LLC has strived to satisfy our customer's fencing needs while meeting crucial deadlines to complete quality projects on time. Copyright © Custom Fence, LLC 2019. All rights reserved.